The year was 1938, and in the bitter cold of January the aged schema-nun Augusta (Zaschuk) awaited her fate in a cold room. The sentence of the special troika of the NKVD was announced on Christmas Eve, and the hours before the execution of 20 priests, nuns, and laypeople were numbered. In Matushka Augusta’s last photograph we see before us a kind, tired face, wise eyes, and in her whole countenance—peace of soul, firmness, and the calmness of a nun who is confident in God’s Providence for her. Before death a person often recalls his whole past life and reflects on it. This nun’s life was out of the ordinary. The future nun-martyr Augusta (in the world, Lydia Vasilievna Zaschuk) was born in St. Petersburg. Her father was a privy-councilor, of the nobility; her mother was from a staff-captain’s family. Lydia graduated from the famous Smolny Institute; she knew several foreign languages and possessed literary gifts. After her wedding to a young, brilliantly-educated officer, it seemed that a happy family life awaited her. But happiness, unfortunately, didn’t happen. There were no children from the marriage, and the hardships and sufferings of ten years of being married became lessons in humility and patient endurance for the future nun. Lydia also visited abroad. She returned to Russia and worked as a clerk and translator at the Admiralty Shipyard in Petersburg, while in 1917 she gave out licenses in the City Council (Duma) of what had now become Petrograd. After the revolution the Lord brought Lydia Vasilievna to Optina Hermitage, where she finally found what she had long sought—faith. She felt the grace of the renowned monastery. She came to know the Optina Elders closely: St. Nectarius and Hieromonk Nikon (Belyaev), the future monk-martyr. The Brotherhood tried to save the holy objects—if only in the newly-built museum, into which went the very rich monastery and skete libraries, archives, and several monastery buildings. Fr. Nikon (Belyaev) became the first director of the Optina Museum in 1919. After his arrest, Lydia Vasilievna became the director. What can we say about the workers in this museum? Monk-Confessor Nikon. Monk-Confessor Agapit (Taube). Nun Maria (Dobromyslova), the daughter of a Kozelsk priest, a spiritual child of Fr. Nikon, the author of the excellent book The Life of Hieromonk Nikon. Poet and children’s author Nadezhda Pavlovich, faithful spiritual child of St. Nectarius and author of memoirs about him… Selfless, altruistic, and tenacious, they strove to preserve the spiritual treasures of Optina—its holy objects. They were doomed and they knew they were doomed. But they also knew that everything doesn’t end with this short earthly life. And she had to sit in prison “for political disloyalty.” Lydia Vasilievna’s works merited a rating by the godless authorities: she lived through 16 arrests, eight times for two weeks incarceration each. She would return from prison completely ill. Once she was sent under guard through Vyzma and Smolensk to the Kaluga Prison, and returned to Optina Hermitage only after three weeks, sick with typhus. 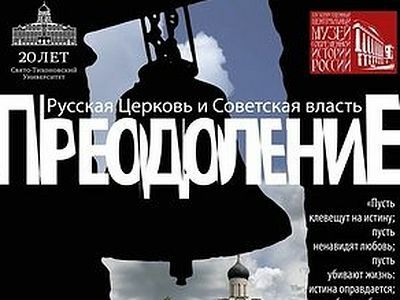 In spite of the authorities’ persecution, the Museum’s activity expanded. In 1922 the Museum won a decree of the recognition of the inviolability of the Optina Hermitage Park. On August 12, 1922, the Optina elder St. Anatoly (Potapov) went to the Lord. His things (“everyday objects”), “in view of their special significance as artifacts,” were received into the Museum and registered as exhibits. This was a small victory and allowed them to preserve the holy objects for posterity. People arrived at Optina Hermitage to work from scientific societies and the Petersburg Academy of Science; writers arrived as well as students in courses. Among the people who visited Optina were the names of well-known figures of those years. Groups of tourists frequently arrived on foot from distant places; to them—as to pilgrims earlier—shelter was given. But the God-fighting authorities were not asleep and they dealt a counter blow: a liquidation committee began work on the disbandment of the monastic cooperative with the confiscation of property. “The “Flower and Vegetable Garden Association” had partitioned off one room for the people arriving at Optina, and this served as an excuse for the court’s verdict of guilty, supposing that pilgrims, exclusively, were put up in this room. Searches and arrests were carried on methodically, they sealed off the Museum premises, and they took the keys from Lydia Vasilievna. They sent the holy objects—or, as described by the atheists, “the museum material”—to a storeroom, and in search of hidden treasure they broke through the vaults of the Church of St. Mary of Egypt. In 1923 the monastery was laid to waste and closed for good. Lydia Vasilievna still worked at Optina Hermitage for some time, signing as “Head Dir. of the Museum-Estate,” but in 1924 she was forced to leave Optina together with its last inhabitants. The Museum itself held out until 1928 and then was also closed. Lydia Vasilievna lived not far from Optina in the town of Belyov, eking out a living from private lessons in German and French. In the ‘30’s many exiled monks from Optina Hermitage and nuns from Shamordino Convent lived there. 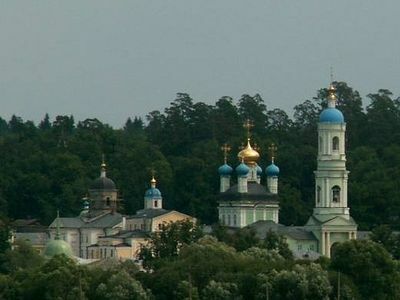 It was there that Bishop Ignatius (Sadkovsky) of the Belyov Diocese organized a convent. And it was there that Lydia Vasilievna was tonsured a nun by his blessing with the name of Augusta, and then into the schema. On the 16th of December 1937, Lydia Vasilievna was arrested for organizing an underground monastery, together with Schema-archimandrite Isaaky (Bobrikov), the Father-Superior of Optina Hermitage. She was ready to pay with her life for her faith and her convictions—and the Lord granted her a martyr’s crown. January 8 is a day, it seems, when all of nature is in peace and harmony, celebrating the Nativity of the Saviour of the world. On this freezing day in 1938 they brought Schemanun Augusta, together with other nuns and priests, 162 miles by the Simferopol Highway to a winter forest near Tula, where they shot them and threw them into a common grave. But this was not the end—but the beginning of the journey to immortality. 1 plemkhoz – plemennoye khoz’aistvo – a breeding farm. Sovkhoz—sovmestnoe khoz’aistvo: a state farm. Both, of course, imposed by the soviets. 3 Glavmuzei—The Head Committee on Museum Affairs and Preservation of Monuments of Art, Antiquity and Nature, under the National Commissariat of Education of the RSFSR. 4 gubernia—“province” or “governorate.” Largest administrative subdivision of the Russian Empire, administered by a governor. Americans like to think kapitalism defeated communism . made the end of atheist communism come about. Almost like a whisper and hardly without bloodshed.